Who said only we, the fans, could have our fan moments with our celebrities? Much like us, our dearest stars also have their own favorite celebs and hence their fan moments! Let's have a look at the fan moments of our favorite stars. 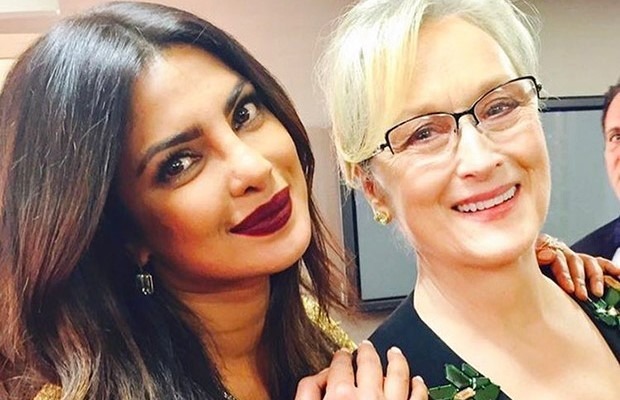 Our very own PeeCee is a fan of the Oscar winner, Meryl Streep. Yes! Lucky Meryl! Priyanka had her fan moment at the behind -the-scenes at the Oscars where she posed with her favorite actress and also posted the picture on her social media account. Who knew that even the Perfectionist could be a fan? 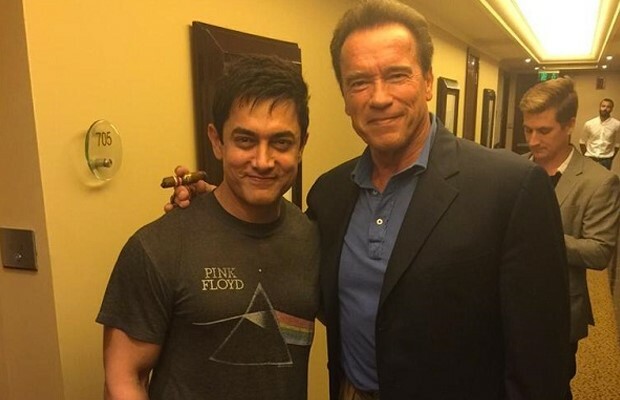 But yes, Aamir Khan is a huge fan of Arnold Schwarzenegger. The Perfectionist met the "Terminator" in Mumbai. He took to Twitter to express his happiness, where he said that it was a 'bizarre' moment for him to see the Terminator walking into his room! While we can't get over the extreme cuteness that Ranbir has in him, let's have a look at who has made our Barfi into a fan. He is Robert De Niro. 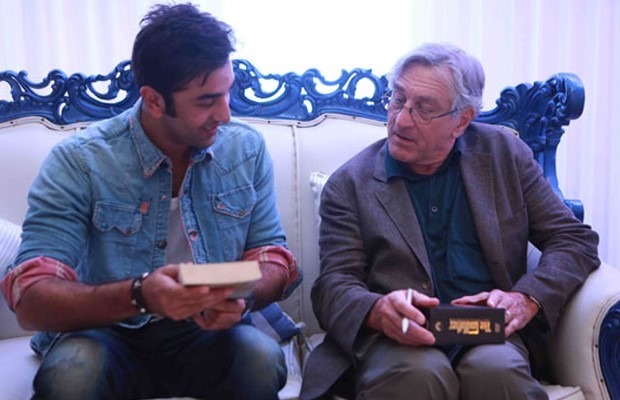 Yes, Ranbir is a huge fan of Robert De Niro and he had his fan moment while Rober De Niro had come to India. Like any other Indian, the first thing that Ranbir did after meeting him was touching his feet and seek his blessings! In the picture, we also see Ranbir kissing the actor's knee. What a huge fan he is! Sushant Singh Rajput has always expressed his love for Shah Rukh Khan openly to the media. He hailing from Delhi, having a the same initial as Shah Rukh Khan and Shah Rukh's phenomenal acting skills has made the 'M.S.Dhoni' actor, Shah Rukh Khan's diehard fan! 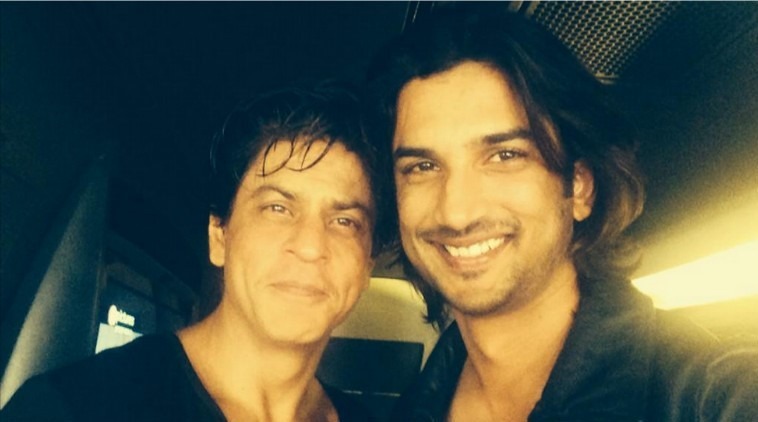 When Sushant Singh Rajput met Shah Rukh Khan, it was his dream come true. He went on to express his happiness using the famous 'Agar Kisi Cheez Ko' dialog from Shah Rukh's movie ' Om Shanti Om' on Twitter. Sonam Kapoor has confessed that ' Tom Cruise' was her first crush. The actress got this great opportunity of meeting her crush at the premier of the movie 'Mission Impossible 4' in the year 2011. She even claimed to have a poster of him in her room in her childhood! So much like us! Can someone, who has his father as the 'Shahanshah' of Bollywood, be a fan of anyone else? Yes. 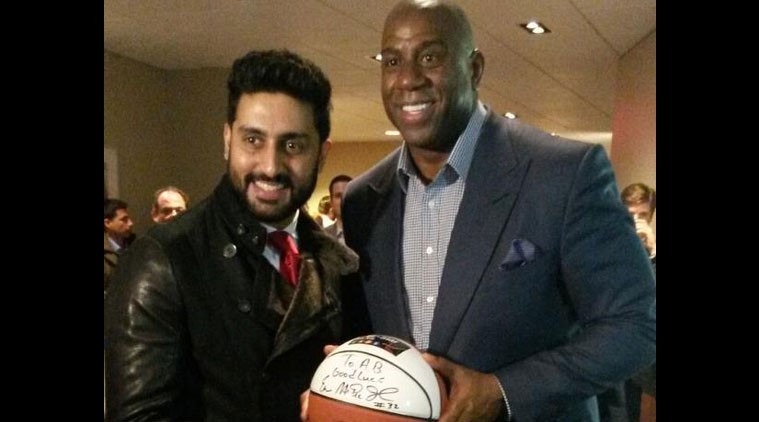 Abhishek Bachchan is a diehard of the retired basketball player, Magic Johnson. He regards meeting Magic as his childhood dream and also considers Magic Johnson as an inspiration! She shares a great bond with her favorite Hollywood star Eva Longoria. The two clicked a selfie together at the Cannes Festival in the year 2015. Varun claims to be star struck by none other than Sachin Tendulkar! During the promotions of Varun's movie Badlapur, he bumped into his favorite cricketer and forgot about his promotion of the movie completely! 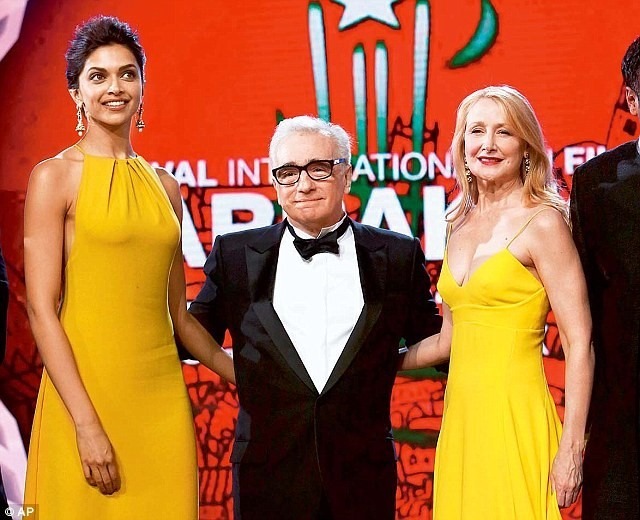 The girl with millions of fans is herself a fan of the famous Hollywood filmmaker Martin Scorsese and the actress Patricia Clarkson!